Jane Akshar has been documenting the continued degradation of some parts of the Temple of Seti I, and today has posted images of the latest bad news - a piece of decoration has crumbled away and now lies in pieces at the foot of the monument. See her page, above, for the photographs charting its demise. A spell written in hieroglyphs, but spelling out words in Semitic, is shown on this page, together with another summary of Professor Steiner's work. "Although written in Egyptian characters, the texts turned out to be composed in the Semitic language spoken by the Canaanites in the third millennium B.C.E., a very archaic form of the languages later known as Phoenician and Hebrew. The Canaanite priests of the ancient city of Byblos, in present-day Lebanon, provided these texts to the kings of Egypt." "French customs officials say they have seized more than 650 ancient artefacts smuggled from Mali in one of the largest such finds at a Paris airport. Described as an 'archaeological treasure', the objects were thought to be on their way to private US buyers. Experts say most of the items are from the Neolithic period, but some may be up to one million years old. The artefacts are thought to have been taken from archaeological sites on the edge of the Sahara desert. The 669 items - 601 stones and 68 bracelets - were confiscated on 19 January at Charles de Gaulle airport and included axe heads, flintstones and stone rings. Most of the artefacts date from a few thousand years BC. But others are from the Acheulean period, between one million years and 200,000 years old, and from the Middle Stone Age (200,000 years BC to 20,000 years BC)." More thanks to Jane Akshar for her regular note-taking at the Mummification Museum in Luxor. This week she has posted her notes for a lecture by Dr Florance Mauric-Barberio on the subject of painted fragments found in tomb KV17, the remarkable tomb of Seti I: "During the excavation of Ramses X lots of fragments from the tomb of Seti I were found. Seti I is an important tomb, discovered by Belzoni in 1817, because it is entirely decorated in all areas. It was done in painted raised relief which takes a long time and maybe the reason why this method is rarely used. Like the tomb of Horemheb some sections of Seti’s relief’s are done in outline only and have not been completed. When finding a fragment it is possible to identify which part of the tomb it comes from because different background colours are used. The shaft has a blue background, the sarcophagus chamber yellow and the other parts of the tom white (apart from the uncompleted outline areas). At the time of discovery it was in very good condition as drawings done at the time show. Some of this decoration has now been lost for a variety of reasons." See the above page for Jane's complete notes. A quick reminder that the 2007 Dig Diary of the John Hopkins University team working at Luxor has been updated (up until the 27th January so far) at the above address. Jane's notes on the latest lecture are on her blog at the above address: "The tomb of Monthemhat no TT34, is one of the great tombs in the part of the necropolis of Thebes, which is known under the name el-Assasif near the temple of the Queen Hatshepsut at el Deir el Bahri. Monthemhat, the owner of the tomb, belonged to a well known family in the region of Thebes. Its members were known since the 22nd dynasty, between 946 and 720 BC. Some of these were viziers, priests or prophets of the God Amun and month, also mayor of Thebes. The father of Monthemhat, named New-Ptah, was the prophet of the God Month and also the mayor of Thebes." Jane has also added a link to a blog which catalogues one American family's visit to Egypt. It is entertaining and evocative, and there are some good photographs: "We returned to the Cairo Egyptian Museum for another round of pharaonic madness. This time the museum was packed and yet not as overwhelming as the first visit. It helped having been there once before. This time we had a better sense of what we wanted to see and what was actually realistic in being able to see. There is just so much here.We hung around the atrium area where Narmer’s palette is located. Sarcophagi of Hatshepsut and others dominate the main floor area. The swap meet feeling remains. Some of the items are presented front and center with piles of objects stacked along the walls. Some items are marked, some not. Treasures stashed in corners. Crazy." Don't forget that last week's EEF News Digest is online at the above address, for all the latest information about exhibitions, conferences, lectures and new online and print publications, grants awards and fellowships, new websites, courses and trips, plus a round up of last week's main news items. A long and detailed article about the restoration of the 5000 year old site Shunet el-Zebib at Abydos. The article looks at the nature of the problems experienced by the site, introduces the project team, the work they are carrying out, how the work is funded, and describes the history of the site itself. "Nearly 5,000 years old, a monument known today as the Shunet el-Zebib, the only surviving example of a series of monumental cultic buildings built by Egypt’s earliest kings at Abydos, has been ravaged by the elements, attacked by animals and insects, and structurally compromised by humans over the millennia; its present day survival seems almost miraculous. One of the most mysterious of ancient Egypt’s monuments was in danger of imminent collapse. In 2001, the experts all agreed that unless steps were taken immediately this massive mud-brick structure would not remain standing much longer. A conservation and stabilization program was developed, sponsored by New York University’s Institute of Fine Arts, and surprisingly the most suitable methods recommended by the experts for saving the monument turned out not to be highly technical ones of modern construction, but rather those more traditional, and ancient, in nature." "Late December last year, after more than three metres of sand had been removed from the slope of the coral reef, the entrance of a large man-made cave was uncovered by the Italian and American archaeologists. Stone anchors, two large cedar beams were found plus mud bricks and plaster that had been used to reinforce the entrance. To the north of the entrance, the archaeologists found an antechamber leading to two rectangular rooms both 12 x 4 metres. To the south is a smaller antechamber leading to yet another chamber hewn out of solid rock. Outside the cave entrance are small carved niches, four of which still contained limestone steles, which suggest that this cave was a temple. The best preserved stele, which has fallen out of its niche, was found face-down in the sand. Carved on this stele was the cartouche of King Amenemhat III, who ruled in about 1800 BC. The hieroglyphic text below a scene of the King making an offering to the god Min concerns two expeditions led by officials Nebsu and Amenhotep to Punt and Bia-Punt." Keeper of the Griffith Institute Archive, Jaromir Malek, has announced that another batch of paper impressions has been made available on the Griffith Institute's website. They are impressions from Theban tomb TT 106 (Paser, of the reigns of Sethos I and Ramesses II) and from the Valley of the Kings tomb KV 17 (Sethos I) in the mid-19th century. A site plan accompanies the black and white images. As always, they are lovely. Click on the thumbnail image to see it in detail. Another fairly lengthy article about the pros and cons of the decision to rehouse the residents of Qurna in order to excavate the tombs beneath their extensive village. If you usually use Firefox as a browser I recommend that you switch to Explorer for viewing this article, as in Firefox it displays with overlapping text. "The city of Luxor contains one third of the world’s total antiquities and brings in 3.5 million tourists a year, according to Luxor’s governor, Samir Farag. And Old Gurna currently lies on the route of many tour programs, mainly for the alabaster factories that lie along the side of the road. . . . But although the tour agencies, guides and bus drivers receive a large commission from these factories, in some cases up to 75 percent of the total sale, and factory owners and employees depend on these sales for their livelihoods, tourists are not all pleased with this imposed stop between tomb and temple visits. . . . Old Gurna residents depend on the constant influx of tourists and on the odd jobs provided by archeological missions to make their livings. So their relocation to New Taref, three kilometers down the road and both off the normal tour route and away from the nobles’ tombs they’ve been living over for generations, has been cause for their concern. But the Egyptian government is adamant that they are doing the right thing. And by the beginning of February 2007, most of the Old Gurna homes will have been demolished and excavations will have started." "Algeria is stepping up efforts to curb the theft of its archaeological treasures. The police plans to recruit archaeology graduates and curb the illegal trade of stolen items. . . . Four regional police units have been set up in Oran, Constantine, Ouargla and Tamanrasset to track down people involved in this illegal trade. The units make inventories of archaeological sites and carry out aerial surveillance. In the future, the police plan to step up these efforts by recruiting students from institutes of archaeology." If intersted, see the above site for more details. "Egypt is fuming over a competition to choose the world''s "new seven wonders," deriding it as a marketing stunt that demeans the pyramids of Giza, the only surviving ancient wonder, AFP reported. 'They are the only one of the seven wonders of the ancient world that still exists, it''s ridiculous, they don''t need to be put to a vote,' Egypt''s antiquities supremo Zahi Hawass was quoted as saying in local newspapers. Culture Minister Faruq Hosni echoed the complaint, describing the project as 'absurd' and its creator, Swiss-Canadian filmmaker Bernard Weber, as a man 'concerned primarily with self-promotion'." This is the complete bulletin. Another collection of fairly random websites that I have been visiting this week. Don't forget to let me know of any websites of interest that you have found. "This reference collection of archaeological sites in the Egyptian Nile Delta was adopted by the Society in 1997. The original core of the information was collected by Jeffrey Spencer over many years, later supplemented with contributions from others, acknowleged below. The purpose of the Society's Delta Survey was to assess the current condition of the lesser-known archaeological sites in Lower Egypt, initially by visual inspection, and to combine the results with information from published and unpublished sources. Well-known sites and those which have been the subject of extensive excavation are not considered a priority for this project since they are well-documented in other sources of reference. They have been simply listed without extensive comment, with linked pages of bibliography. The data is presented here in the form web-pages containing an alphabetical listing of sites, although the records are also maintained as a searchable database". "Porphyry, breccia verde, granite, gold -- and elephants: many treasures brought men to the Eastern Deserts. Rushdi Said explores the Roman roads that lead from the Nile Valley to the Red Sea. The Eastern Desert played an important role in the history of Egypt. It was the source of gold, copper and many other minerals and precious stones that were highly sought after from the earliest of times. It was also the place through which trade with Arabia, Somalia and India was channelled. As a result, a large number of roads were built there throughout ancient times. These routes were especially important during the Roman occupation of Egypt, when many mines and quarries were reopened, and some new ones broken." "The Mons Porphyrites, today Gebel Abu Dukhan, was a Roman quarry, in the Eastern Desert of Egypt. It lies on the road between the Red Sea and Maximianopolis, the modern Qena. Porphyry is a hard volcanic rock with inclusions of feldspar or quartz. This red or purple Egyptian porphyry was mined until the 5th century and was used and re-used for the creation of numerous monuments and objects in Europe. The red porphyry was an imperial symbol and the delivery room of the palace in Constantinople was panelled with porphyry, that is why the children of reigning monarch were called "porphyrogenitos" i.e. born-in-the-purple." Description of the excavation of a badly deflated site near Qena, with diagrams and photographs of Middle Palaeolithic lithics which have been tentatively linked with sites containing some similar lithic types in the Sudan. Thanks very much to Howard Middleton-Jones for sending me the link for the Coptic Monastery Database project: "Premise - To develop a fully multi-media database of the Coptic monasteries of Egypt, producing a fully searchable and interactive catalogue of the monastic sites. By developing such a database, which will include full text descriptions, photographs and video, the end result would be an ideal and important tool for retrieval of archaeological records and for Coptic research in general." At the moment this is very much a work in progress, but with so little information on Coptic archaeology and history on the Web, it isone to keep an eye on. "Scientists at The University of Manchester have teamed up with colleagues in Egypt in a bid to discover what medicines were used by the ancient Egyptians. The 'Pharmacy in Ancient Egypt' collaboration, which is funded by a grant from the Leverhulme Trust, will compare modern plant species common to the Sinai region with the remains of ancient plants found in tombs." See the above page for the rest of this short article, and contact details. "A ca. 3500-year-old Egyptian pot from the Fayoum site of Gurob contains ethmoid bones characteristic of the sinuses and morphological remains of erythrocytes. The pot contents are interpreted as the remnants of an embalmers studio, and substantiate records of mummification." A follow-up letter to the New Scientist article about the concrete-in-the-Great-Pyramid speculation (9th December 2006, p.6) has appeared in the most recent issue of New Scientist on the Letters page (27th Janaury 2007, p.21). The letter challenges the claim that the discovery, if accepted, would put the earliest date for concrete at 2500 years before the previously recorded first use. The letter writer, Stan Wild (Craven Arms, Shorpshire, UK) writes: "Concrete is known to be much older than this. One of the earliest examples is a hut floor dating from 5600BC in what is now Serbia. It consisted of a mixture of red lime, sand and gravel." He goes on to discuss other early uses of mixtures that could be labled "concrete" before this date as well. The letter is published in full on the New Scientist website at the above address. TRADE AND NOMADS: THE COMMERCIAL RELATIONS BETWEEN THE NEGEV, EDOM AND THE MEDITERRANEAN IN THE LATE IRON AGE by Juan Manuel Tebes (pp. 45-62). THE CERAMICS OF TEL 'ERANI, LAYER C by Yuval Yekutieli (pp. Another one for those amongst you who are intersted in the role of climate change on early prehistory. The latest issue of New Scientist (27th January 2007, p.12) looks at climate change in terms of causes other than Milankovitch cycles, summarizing an argument by Robert Ehrlich who suggsts that Milankovitch cycles are not large enough to create ice ages, even factoring in feedback mechanisms on Earth. As usual with climate change models, the idea has a number of detractors. "Brits are following traditional Egyptian rituals and enclosing 21st century treasures, including mobile phones, jewelry and photos in the coffin when a loved one passes away. New research out on the 26th January 2007 revealed that more than one in five people would be like to be buried with their mobile phones. The reason? So they can still receive texts from friends and loved ones. Brits are following traditional Egyptian rituals and enclosing 21st century treasures, including mobile phones, jewelry and photos in the coffin when a loved one passes away.Leading mobile phone retailer Dial-a-Phone questioned customers aged between 18 and 30 to discover what they would take if they could have only one item with them in their casket. 17% said that their mobile phone was their top choice, coming third only to wedding rings and other sentimental jewelry items like lockets and bracelets. Personal items that also fare well on the list include photos, letters and childhood toys, which were thought to hold special memories of loved ones and significant moments. . . . When questioned further, the majority of those who opted for their mobiles as a coffin accessory said it was so that they could still receive messages from loved ones via text message! Other rationale included fear of being buried alive and not wanting others to see personal messages and pictures stored on their phones." See the above page for the remainder of the Press Release. "The Greeks developed mathematics as a deductive science that reached its climax with Euclid of Alexandria in his masterpiece The Elements. Before that, during the ancient Egyptian era, mathematics was an inductive discipline of a utilitarian nature used to perform practical tasks such as flood control or land measurement using rope. It has been suggested that mathematics then amounted to no more than the two-times table and the ability to find two-thirds of any number. The whole structure of Egyptian mathematics was said to be based on these two simple rules, and indeed no evidence exists of a textual geometry with constructions and proofs. Yet, looking at the Egyptians' stunning monuments, as well as a civilisation that spanned three millennia, one might expect to find a similar element of grandeur in their sciences -- especially in mathematics and astronomy. How did they configure the manpower and materials needed to build more than 90 pyramids? It is obvious that to calculate the vast amount of computations they needed, the ancient Egyptians reached a fairly advanced mathematical knowledge." See the above article on the Al Ahram Weekly website for the full article. Two-page Discovery Channel article about resideues in a set of jars: "For over 100 years, four blue-glazed jars bearing the nametag of Rameses II (1302-1213 B.C.) were believed to contain the Egyptian pharaoh's bodily organs. But analysis of organic residues scraped from the jars has determined one actually contained an aromatic salve, while a second jar held the organs of an entirely different person who lived around 760 years later. Now the question is, who was this individual?" "The project does not simply aim to introduce a sewerage system and protect the antiquities, however. It should also introduce environmental opportunities for Esna's residents. The ACC is installing pipes into streets that could be six to seven metres higher than the level of the ancient city. Once the project is complete, the sewerage will be piped from homes into progressively wider pipes, until it reaches a pumping station that propels it into clarification tanks. Once in the tanks, the sewerage will be 80 per cent purified and fit for recycling as irrigation water. An area of 1,800 acres will be eventually irrigated by it. . . . Abdel-Sattar Ahmed, head of the Esna and Armant antiquities, says that the Supreme Council of Antiquities has drawn up a plan to protect the Esna Temple from the rising water table. The plan involves the removal of all the buildings situated on top. "The part we see from the temple is only one half of its real size," he reiterates. Since much of the inhabitants' income depends on tourism, many are ready to relocate from their current homes, notes Abdel-Sattar. But only a real evacuation plan can prove him right. The work will become more critical, the closer it gets to the temple. "The problem with underwater archaeology is that the artefacts are encased with salt which takes a long time to clean off. When I became the secretary-general of the Supreme Council of Antiquities (SCA), I decided to leave these artefacts in situ, since many objects had been lifted off the sea bed and I thought we should leave the rest to the possible underwater museum, the only archaeological underwater museum in the world." The rest of the article describes mainly Hawass's perception of the inauguration ceremonies in Berlin and Paris . "Located in the Eastern Desert, Saint Paul Monastery remains one of the most popular in Egypt, attracting a regular horde of visitors tempted as much by the desert journey as by the architectural and spiritual experience. In AD 250 -- so the story goes -- the saint fled Alexandria from the wrath of the heathen Emperor Decius; he was only 16. He found a place of hermitage in a cave flanked by a palm tree and a spring, where, nearly a century later in AD 343 he was eventually joined by Saint Anthony, who saw him come out of the cave in a dream and found his way to him. . . . Not so long ago a visitor could only get to Saint Paul by hiring a camel in Beni Sueif; a separate, 25km journey was required to get to Saint Anthony. Today the Al-Sukhna Highway reduces the journey to a straightforward 120km drive. The monastery had been closed for restoration work until 2006, when it reopened: Qummous Daniel offers a complete tour of the premises, featuring the waterwheel and rock art of ancient monks, as well as a full historical account of the site." "Qasr Al-Sagha, or rather the Golden Fortress, is one of Fayoum's mysterious marvels. Located north of Lake Qarun, the building once stood on the shore of the ancient Lake Moeris. Now the lake has shrunk and Qasr Al-Sagha is stranded amidst the barren desert. So what makes this archaeological site peculiar? Several other reasons besides the location. Though it has been debatable for some time, scholars have agreed that it belongs to the Middle Kingdom. However, the purpose of the edifice is not known, or whether it is a temple or a palace. Containing a number of small rooms, perhaps shrines, as well as a blind room with no entrance, the whole of the building is left bare without a single inscription or decoration. Qasr Al-Sagha is a job never completed. " See the above page for the rest of this short account. "The Ministry of Environment has declared El-Dababiya district of Qena a nature reserve. Of all Egyptian reserve areas, El-Dababiya is the 27th. 'This area in Upper Egypt is in fact a world-level geological beau-ideal,' Minister Maged George said in statements Wednesday 24/1/2007. Not just that, El-Dababiya is a true time measure that can, through its old substrata, be used to accurately determine the age of the Earth. Nature reserves are actually unique environmental phenomena that must from environmental tourism." Backers of the new tour hoped that the absence of the sarcophagus would not discourage real fans of Tut this time around, and by and large that has proved true. Al though the'76 tour garnered 8 million paying visitors and set records for a traveling exhibition, "The Golden Age of the Pharaohs" has already attracted more than a million viewers in both Chicago and Los Angeles, a good 200,000 more visitors apiece than either venue expected. That will not break the record of the first Tut tour, but it will more than achieve the financial goals of the new project." "Dr. Zahi Hawass came to Florida on the 8th of January 2007 because he found out that has a condition of his eye called macular holes. Due to the nature of this condition doctors in Egypt decided it best to send Dr. Hawass to an esteemed medical facility in the U.S. called the Bascom Palmer Institute. An eye operation was performed by Dr. William Smitty. Dr. Smitty will follow up to find out whether the surgery was successful for the next 2 - 2 1/2 weeks. Although the doctors are not precisely sure why this condition occurred, they suggest that it may possibly be due to a stone that fell on Dr. Hawass' head during a recent excavation. Dr. Hawass has advised that he does not take phone calls at the Institute. He wants his friends and fans to know that he deeply appreciates their concern, but to please not inundate Bascom Palmer with these thoughtful calls. Continuing news of Dr. Hawass' recovery will be available from his website at: http://guardians.net/hawass." See the above web page for the entire bulletin. A short obituary, in German, can be found at the above page for Gerhard Fecht who died in December 2006, aged 84. "A magic spell to keep snakes away from the tombs of Egyptian kings, adopted from the Canaanites almost 5,000 years ago, could be the oldest Semitic text yet discovered, experts said Tuesday. In 2002 one of the Egyptologists e-mailed the undeciphered part of the inscription to Richard Steiner, a professor of Semitic languages at Yeshiva University in New York. Steiner discovered that the phrases are the transcription of a language used by Canaanites at some point in the period from 25th to the 30th centuries B.C." "Richard Steiner, professor of Semitic languages and literature at Yeshiva University, interpreted Semitic passages in Egyptian texts discovered more than a century ago inscribed on the subterranean walls of the pyramid of King Unas at Saqqara in Egypt sometime between the 25th and 30th centuries BCE. The passages, which were meant to protect royal mummies against poisonous snakes, were written in hieroglyphic characters, but Steiner discovered that they were composed in the Semitic language spoken by the Canaanites in the third millennium BCE, an archaic form of the languages later known as Phoenician and Hebrew. The Canaanite priests of the ancient city of Byblos, in present-day Lebanon, provided these texts to the kings of Egypt. " Video to accompany the Tutankhamun exhibition as it is being set up in Philadelphia. The video particularly features the so-called mannequin. The exhibition opens at the Franklin Institute in Philadelphia on February 3rd 2007. "King Tut's (c. 1355-1346 B.C.) long journey through the afterlife continues, as now, more than 3,000 years after his death, he returns to the United States for the first time in almost three decades. (Well, in truth, it's Tut's possessions that travel, not the mummy himself, who still slumbers in the Valley of the Kings.) Many will remember Tut's explosion onto the American museum scene in 1976, creating the "blockbuster" show and making special exhibition admission a "hot ticket." Tutankhamun and the Golden Age of the Pharaohs, opening at The Franklin Institute on Feb. 3, includes 50 objects excavated from the boy-king's tomb, as well as some 70 objects from royal graves of his 18th Dynasty (1555 -1305 B.C.) predecessors, among them artifacts from the tomb of his great-grandparents." " If you thought King Tut was a colorful character, you should meet his dad. The man believed to be the father of Tutankamun, the famous boy pharaoh, created a city called Amarna and introduced the belief in a single deity, the disk of the sun, called Aten. Akhenaten's experiment in monotheism was a dramatic departure from Egypt's tradition of worshipping a pantheon of gods. He is sometimes known as the "heretic" pharaoh and evoked the disdain of the priesthood. An exhibit about Akhenaten and his royal city of Amarna is now on display at the University of Pennsylvania Museum of Archaeology and Anthropology in Philadelphia." A short video with Rachel Sparks talking about Petrie to accompany the Petrie In Palestine exhibition currently showing in London. Petrie is perhaps best known for his work in Egypt, and this video discusses his interests and contributions to archaeology in general: "His influence on the development of archaeology is absolutely huge. And one of the things you’ve got to remember is he started work in archaeology in the late Victorian period, late nineteenth century, when it was a very, very undeveloped discipline. Historians, really, had more influence on what people thought about the past, and archaeology was just beginning. And he came into the field and taught people how important it was to understand the past through objects." See the above page for the video account. "The pieces in the puzzle of the mummified Egyptian cat have finally come together - or at least the pieces of the puss have. X-rays have revealed that the two mummified parcels, belonging to the Ballarat Fine Art Gallery, contained the two halves of a cat. The contents of one package had been unknown before yesterday's examination at a veterinary clinic, while those in the other were confirmed as a cat's upper portion. But the art gallery's registrar Anne Rowland said the discovery of what was beneath the layers of linen cloth prompted more questions than answers." "The mummy of Tanet-Paheku, a young child who died in ancient Egypt between 656 BC and 343 BC, will be installed at the Cummer Museum of Art & Gardens this morning. It should be available for public viewing by this afternoon, said Amy Laubach Chamberlin, manager of marketing at the Riverside Avenue museum." Short piece, second on the above page, about Zahi Hawass and restitution of artefacts: "Dr. Zahi Hawass, chief of Egypt's Supreme Council of Antiquities, has for a long time ago had a dream, the restitution of Egyptian artifacts, and now it seems he is getting close to making it all come true. Towards this end he founded the Department for Returned and Stolen Artifacts, where they have compiled a database of all treasures allegedly stolen from Egypt since 1972. He has been writing letters all over the world, to museums and universities, to let them know that he would cut relations with them if they try to buy any stolen artefacts. His tactics, considered by some experts as a overly aggressive, are creating controversy but also achieving results." See the above page for the rest of the piece. "At least 9.082 million tourists visited Egypt in 2006, tourism minister Zoheir Garana announced Thursday, saying that the number was an increase of more than 400,000 visitors compared to the figures in 2005. In 2005, 8.6 million tourists visited Egypt, which was a record according to the minister. He recalled that over the past 10 years Egypt has received an average of 6.5 million tourists annually, but the 8.6 million was an upward trend from 2002. Tourists visiting Egypt in 2006 came mainly from the United Kingdom (1.033 million), Russia (998,000), Germany (966,000), Italy (786,000), Libya (443,000), Saudi Arabia (388,000), France (372,000), Palestine (228,000), USA (228,100) and the Netherlands (210,500)." Press Release: "Ancient Sands is a new company joining the ranks of other companies offering tours to Egypt. Set-up in 2006, the company will be running three to four taylor-made tours each year. The first tour is scheduled for May and includes private visits to the Giza Pyramids, the Sphinx, the Cairo Antiquities Museum, the Temples of Horus at Edfu and Isis on Philae Island." The JHU Dig Diary for their work in Karnak is up and running, with entries posted for the 20th and 21st January 2007. There are lots of photographs accompanied by explanatory text, of which the following is a small sample: "We're doing things differently this year, because the university's calendar requires that we break our season into two parts. We have a small crew out now to do some completion of the major restoration work in the temple last year, and they are going to help us create a cleaner, safer, and more accessible Mut Temple setting. This shot shows Jay Van Rensselaer in the main temple, and the shot was taken from near the rear, looking back north toward the entrance to the enclosure. You can see in the distance the tent tops that cover the numerous blocks that we retrieved and restored during last year's three seasons". See the above page for the diary's calendar and click on the relevant date to see the entry for that day. "A newly-announced nature reserve in Egypt will be one of the most important tourist attractions, Environment Minister Maged George said on Saturday. In statements, George said the reserve in the New Valley area of el-Gelf el-Kebir enjoys a distinguished geographic position and teems with a wealth of cultural and environmental heritage. The area is on the Owainat Mountain linking Egypt, Libya and Sudan; therefore it can help open new scopes for cooperation among the three nations, according to the minister. There is a project aiming to protect bio-diversity in the area through development, the minister said. Some 24 existing and potential nature reserves, covering about 10 percent of Egypt's area, according to a presidential decree in 2001. By 2017, nature reserves are expected to spread across around 17 per cent of Egypt." Sorry to sneak in a non-Egyptian story two days in a row, but like the Mali pottery, this one may well be of interest to anyone interested in the development of Egypt in the Neolithic. Chickpeas are one of a "package" of domesticated plants that were employed in Egypt, apparently adopted simultaneously, only after they had become the standard combination of crops grown in the Near East (wheat, lentils, barley, and flax): "Researchers have long claimed that the nutritional benefits of chickpeas could be one of the reasons for the rise of civilization in the fertile crescent of Mesopotamia. And now a team of Israeli scientists believe they have discovered the reason why. Zohar Kerem and Shahar Abbo from the Hebrew University of Jerusalem have found that cultivated chickpeas contain three times as much amino acid tryptophan, a precursor of the neurotransmitter serotin, as wild chickpeas. Tryptophan is responsible for brain serotonin synthesis, which in turn affects certain brain functions and human behavior." See the above page for a summary of the research. The research appeared in the Journal of Archaeological Science. It's a very quiet news day, so here's a piece for those interested in North African prehistory: "A Swiss-led team of archaeologists has discovered pieces of the oldest African pottery in central Mali, dating back to at least 9,400BC. . . . Since the launch of the project in 1997, the team has made numerous discoveries about ancient stone:cutting techniques and tools, and other important findings that shed light on human development in the region. But the unearthing of the ancient fragments of burnt clay is one of the most significant to date. Huysecom is convinced that pottery was invented in West Africa to enable man to adapt to climate change." Continuing the Sunday listing of sites which I, or others, have visited during the previous week and have enjoyed or found of particular use. If anyone has any favourite sites please send them over. Steve Vinson's 1987 M.A. Dissertation. Takes a while to load, and there over 300 pages: "The origin and development of planked boats in Pre- and Early Dynastic Egypt is explored through an examination of representational art, the Preynastic environment, the development of tools and woodworking and direct archaeological evidence for boats including boat burials and surviving fragments. The use and range of early boats are examined through the archaeological evidence for trade within and beyond the Nile Valley". The website for the Tell el-Dab'a site. The site has now been positively identified as Avaris, capital of the Hyksos in the Second Intermediate period. It is quite a small site but there are some very fine diagrams and photographs, as well as a good history and a bibliography. Slideshow of photographs from the Mestekawi Cave's rock paintings in the Gilf Kebir. "The AEL discussion list came into existence on February 6th 1997 and provides a dedicated forum for the discussion of the ancient Egyptian language(s) and texts. Topics that have already come up include: learning/teaching egyptian, useful text books, hieratic, coptic, grammar, phonology, meanings of words. At any one time there are several threads, usually one of which is a discussion of a particular text, i.e. translating it and discussing its grammar, meaning, etc." As well as the forum there are online resources including texts, learning resources and a bibliography. "Samples of rock and fragments of pyramid walls brought from Egypt are being examined at the AGH University of Science and Technology. It is very likely that meteorites had dropped near the pyramids. The material was collected during the December expedition of geologists. Another aim of the expedition was to study some geoglyphics, i.e. gigantic pictures drawn on the ground. According to Dziennik Polski, the scientists were intrigued by some unusual structures, which resembled craters formed after meteorites hit the ground. They noticed them when analysing satellite pictures of areas north of the great pyramids in Giza. . . .The aim of the expedition was also to study the geoglyphics, i.e. gigantic pictures on the ground. Located east of Cairo, they form two several-kilometre-long curved lines, which almost meet in one point. On satellite pictures, they look like a huge drawing of a scarab." "The University of Chicago's Oriental Institute, known for antiquities scholarship, is using mapping software and spy-satellite photos to unravel the mysteries of how people lived, traveled and built civilizations. The results could reveal findings as diverse as an ancient Egyptian settlement flooded by a dam, the routes explorers took to settle in Chicago's Beverly neighborhood, and why Iraq is considered the cradle of civilization. . . . The project, called the Center for Ancient Middle Eastern Landscapes or CAMEL, uses geographical information systems (GIS), the same mapping technology as Google Earth, to pinpoint details of ancient sites and even date their origins. That's possible because GIS encompasses data and trends analysis, and the ability to look at the results on two- and three-dimensional maps. . . . The project is unique in archeology because it aims to keep ancient sites intact, rather than to disturb them by excavation." "The embalming and the storing of organs in jars is because the dead person will need them. To get safely through to eternity you need a body, a name, a soul and a life force; the absence of any of these is a disaster. To erase a name and destroy a body is to deny the owner any possibility of life after death. That is the capital punishment of criminals - exterminating body and name, execution in this life and forever after. The soul takes the shape of a bird, sometimes a plump creature with a human head, sometimes a stylised swoop of wings; you have to guard it closely but it can fly about, always returning to its body. If its body is not available it will try to find another, a living body, and will make it ill. Similarly dangerous is a body whose soul is lost. Just as the sun rises in the east and sails in a barge across the sky to its setting, so the dead travel to the Beautiful West, and end up in the heaven of the Field of Reeds. If they are good, or lucky. But first they have to journey through the underworld and face its god Osiris." Overview of the Ancient Egyptian Magic exhibition at the Brooklyn, which opened in late December and runs until August 2007: "For centuries, people have been fascinated by mummified bodies as well as the ruins of ancient Egypt, a trend that shows no signs of slowing. In recent years, Egypt has drawn almost 9 million tourists annually, while movies like The Mummy Returns pulled in hundreds of millions. With a strong permanent Egyptian collection but sometimes-weak attendance figures, the Brooklyn Museum hopes to tap into the world’s hunger for Egyptian icons by opening a new exhibit, Ancient Egyptian Magic: Manipulating Image, Word and Reality." An online magazine called Midway Driller has published a new suggestion for how the blocks used to build the Giza pyramids could have been moved: "James Murphy said his Apex Delivery and Lifting System - or Murphy Mover - is more than just an explanation. It's a nearly energy free way of lifting and moving large objects.It doesn't take much power and doesn't need any major outside energy - just gravity. . . . He has shown his invention to a scientist at the Jet Propulsion Lab in Pasadena and to an Egyptologist.While neither has given it an unqualified endorsement, they are intrigued by his invention and his theory." "MumboJumbo has released a new video featuring detailed footage of seven unique levels of Luxor 2, the follow-up to 2005's #1 casual game. Luxor 2 has been recently named a winner with Casual Games Association, taking first place in the categories of "Best of 2006", "Casual Game of the Year", and "Puzzle Game of the Year." The fast-paced action starts with the snaking balls wrapping around golden chalices, and advancing along to highly-detailed scenes featuring statues and murals of Egyptian warriors, sand-swept pyramids and steam-rising lava pits. The twists and turns continue through ancient ruins intricately decorated with hieroglyphics and serpent mosaics, providing remarkable visuals of the Egyptian essence. The imagery is further complemented with audio that delivers mystical, momentum-building background music and satisfying chimes and clangs as ball chains explode." A detailed account of Mubarak's visit to Luxor, with information about some of the projects that he was taken to see. A very useful summary for anyone interested in the development of culture and heritage in the Luxor area: "President Mubarak began his visit with a tour of the town's east bank. He first inaugurated the Mubarak Historical Centre, which has been established by the Luxor Supreme City Council (LSCC) in collaboration with the Ministry of Communications and Information Technology to display Egypt's cultural and natural heritage from the ancient Egyptian times right through the Coptic and Islamic eras. The centre is a smaller version of the CULTNAT, Institute's Smart Village in Cairo which, since its establishment six years ago, has devoted itself to the documentation of Egypt's heritage. The centre in Luxor demonstrates Egypt's historical span through the screening of a two-hour-long "Culturama", which displays a variety of cultural exhibitions and activities, using state-of- the-art technology on a 180-degree interactive screen. Records of Egypt's architectural, natural, archaeological and folkloric heritages are also on show." See the above page for the rest of the account. "Egyptologist Betsy Bryan and her crew are once again sharing their work with the world through an online diary, a digital window into day-to-day life on an archaeological dig. 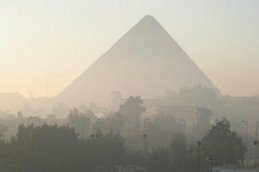 Starting about Friday, Jan. 19, and running through late February, visitors to Hopkins in Egypt Today at http://www.jhu.edu/neareast/egypttoday.html will find photos of Bryan and her colleagues working on The Johns Hopkins University’s 12th annual expedition in Luxor. Bryan will continue to explore the Egyptian New Kingdom (1567 to 1085 B.C.E. ), known as the "golden age" of Egyptian temple building." The Hierakonpolis pages on the Archaeology Magazine website have been updated with two new articles (top link). The first, by Jeremy Geller, looks at beer and beer making vats, and the latest excavations to find out more information about this activity at HK24B (second link). The second of the articles, by Emily Henkels and Rebecca Chan, looks at a typical day at the site from the perspective of two undergraduate students (third link). An article covering the background and present scope of the Department of Egyptian Art at the Metropolitan Museum in New York: "The Department of Egyptian Art was established in 1906 to oversee The Metropolitan Museum of Art's ancient Egyptian collection, which had been growing since 1874. Today, after almost a century of collecting and excavating, the collection has become one of the finest and most comprehensive in the world. In 1906, the Museum also began an excavation program in Egypt that continued for 30 years and brought innumerable pieces of great artistic, historical, and cultural importance into the collection. Because of this work in Egypt, the Museum's collection is particularly rich in both the royal and private art of the Middle (ca. 2040-1640 B.C.E.) and early New Kingdoms (ca. 1640-1450 B.C.E.) and in the funerary art of the Third Intermediate and Late Periods (ca. 1070-332 B.C.E.). " Jane has updated her Luxor News blog with some information about work being carried out at the Ramesseum including the use of different technologies and conservation work. There are some good photos of the work being carried out by some of the team. More details are supposed to be available on http://www.ramesseum.net/, but although there is a placeholder there, the site does not yet appear to be up and running. For those of you who are unaware of the group, GlyphStudy is a subsidiary of the Ancient Egyptian Language group, and its purpose is to provide an informal environment in which people can support each other to learn hieroglyphs by working through Allen's Middle Egyptian. For full details, please see the above web page, as well as the following simple guidelines from Karen, the group's moderator. N.B. You will need to be a member of the AEL group as well: http://www.rostau.org.uk/AEgyptian-L/. Membership of the groups is free of charge. 1. Buy a copy of James P. Allen's Middle Egyptian: An Introduction to the Language and Culture of Hieroglyphs, since this is the book we are using as a textbook. You will need the book to participate in the study group, because that's what we do--go over the material and do the lessons together as a study group. 2. Send me a first and a last name (I ask this of everyone as a prerequisite to make sure folks are serious, and I also need some way of keeping track of over 200 people --you may always elect to use only your first name for list correspondence. 3. I will then send you an invitation to join GlyphStudy--assuming you are not a member already ( : this is the list where we do all the basic level chit chat about studying, and resources and homework procedures--please accept the invitation. 4. Volunteer as a Homework Volunteer--this is essential to our success as study group. If you have been wanting to get started on your studies, or got left behind for any reason the last time --now is your chance to jump in and make the new section a success. For anyone following the move of the villagers from Qurna to a new location, done in order to provide access to the tombs beneath old Qurna, the above article has a piece about Mubarak's official opening of the new town: The relocation of three thousand five hundred families to the new town has been regarded as one of the most important resettlement operations to be made in Luxor since the rescue of Abu Simbel in Nubia some 40 years ago." http://www.gom.com.eg/gazette/tourism/detail_8_90.shtmlSiwa: the sweetest oasis by "Mohamed Salah Attia Siwa appears at first as a sweet and innocent place deep in the desert which has just opened its eyes to the modern world and still let itself be amazed. Which is not wrong, the asphalted road opened first in 1984. But the history goes deep beyond the earliest civilisations, to Paleolithic times. In the first millennium BC, Siwa was famous with the ancient Egyptians, thanks to its oracle. The oracle was thought to be so true and powerful that it generated fear. During these times, Siwa was a wealthy place, well illustrated by the Gebel al-Mawta and its rich tombs. In early Islamic times, Siwa went into decline and sometime in the 13th century was down as little as 200. Today the population is on the rise, and has since long passed 20,000. Most live in the town Siwa, the rest are spread across over 10 smaller villages. How to go there From Cairo by bus from the International Bus Station (El Torgman) Fares vary between LE85 and LE165. From Marsa Matrouh by bus from the bus station. Tickets vary between LE30and LE95." This is the complete article on the Egyptian Gazette website. The page will probably be replaced in the next day or so. "Johnson said a rapid growth in tourism had begun to threaten the site. Hundreds of buses arrive each day to visit Luxor. Egyptian officials have decided to tear down several kilometers of the old town in order to extend the row of sphinxes to its original four kilometer length, even though experts have warned that not much may be left, leaving open the possibility that the result will look more like Luxor Casino in Las Vegas than ancient Egypt. At one point, Johnson showed a wall carved with narrative of a ancient battle. He noted that the Egyptians had a 'very fluid version of reality.' So the king never was wounded and never lost a battle. 'Reality was what you carved into the wall,' Johnson said." "One day, while working in the workers’ cemetery, we discovered the beginnings of a ramp outlined with low walls of limestone rubble. This ramp led directly to the upper part of the escarpment, where we found more tombs, larger and more elaborate than those in the lower cemetery, looking out over the valley below. Many were completely rock-out and had a stone facade in front of a low cliff face; others were freestanding mastabas of limestone and mud brick. The artifacts and statuary in these tombs was of higher quality than those from the lower cemetery, and the inscriptions told us that the people buried here were of higher status than those below, holding titles such as “Inspector of Dragging Stones,” “Inspector of the Craftsmen,” “Inspector of the Sculptors,” “Chief of the Estates,” “Overseer of the Linen,” “Overseer of the Tomb Makers,” “Overseer of the Harbor,” and even “Overseer of the Side of the Pyramid.” The most important title found here was “Director of the King’s Work.” I believe these are the tombs of the artisans who designed and decorated the pyramid complexes and the administrators who oversaw their construction. Based on the pottery, names, and titles found in this cemetery, my conclusion is that it was begun as early as the reign of Khufu and continued in use through the end of Dynasty 5, from about 2589 to 2345 BC. " See the above page for the remainder of this article - but it won't be around for more than a day or two. "President Hosni Mubarak yesterday opened several projects in Luxor, including the Mubarak Egyptian Heritage Centre, Luxor’s modernised railway station and airport road. The President was briefed on restoration projects for a number of ancient temples. . . . The city upgrade scheme is scheduled to be completed by 2030. The 42 projects that are currently under way cost a total of LE805 million, Farag said, adding that restoration work would be carried out on the Avenue of Sphinxes at a cost of LE240 million. 'This restoration project will make Luxor the largest open museum in the world,' Farag said." See the above page for brief details of some of the other projects planned for Luxor, including a new marina for floating hotels. You will need to be quick - the Egyptian Gazette does not archive its articles, so the above URL will be valid only for today. These are snippets from the Egyptian Gazette - I had forgotten when I found them, yesterday, that the EG doesn't archive its past news items, so I'm afraid that the URLs are no longer valid. If you click on them, another story entirely comes up. However, I've left the content copied below. "The mosaic at the Church of the Revelation at Saint Catherine’s Monastery is the oldest and most beautiful in the Middle East. Restoration of this precious decoration is being undertaken by an Italian team. Manager of Dahab Antiquities, Abdul Rehim Reihan has said Emperor Justinian built the church in 6th century AD when it was known as the Church of the Resurrection. In the 9th century, when relics of St Catherine were found on the site of the monastery, which bears now the saint’s name, the name was changed to Church of the Revelation. Reihan said the mosaic, which covers the upper part of the east dome, is considered the oldest and most beautiful in the region. The mosaic is made from small pieces of glass of different colours, mostly red and blue on a dark gold background." "Located at the foot of Mount Moses, St Catherine's Monastery, was constructed by order of the Emperor Justinian between 527 and 565. It is built around what is thought to be Moses' Burning Bush, which has a chapel built atop it. It is a spectacular natural setting for priceless works of art, including Arab mosaics, Greek and Russian icons, Western oil paintings, paintings on wax, fine sacerdotal ornaments, marbles, enamels, chalices, reliquaries, including one donated by Czar Alexander II in the 19th century, and another by Empress Catherine of Russia in the 17th century. But of perhaps even greater significance is that it is the second largest collection of illuminated manuscripts (The Vatican has the largest). The collection consists of some 3,500 volumes in Greek, Coptic, Arabic, Armenian, Hebrew, Slavic, Syriac, Georgian and other languages." "While colder regions have enjoyed warmer winters this year, fueling fears of global warming, Egypt will be entering the first of many cold spells Fawzy Ghoneimy, Director-General of the Center for Analysis and Forecasting told The Daily Star Egypt. December has been an unusually cold month and January will likely see temperatures dip closer towards freezing. The highest temperatures recorded this January so far have been 16° while the low has been hovering at 6°. Ghoneimy said Egypt's temperatures are affected by air masses coming from central and Eastern Europe, as well as the distribution of pressure. . . . He expects a further three to four cold waves every month until the end of winter, Mar. 22." "Pushy bazaar merchants and poor waiter service are a bigger threat to Egypt's tourism industry than the bombs of militants, Tourism Minister Zoheir Garranah said in an interview. Garranah said figures to be released Sunday would show that tourist arrivals held up in 2006 despite a devastating April suicide bombing in the Red Sea resort of Dahab that killed 20 people including several foreign holidaymakers. A record 9.81 million tourists added 7.6 billion dollars to Egypt's economy last year, the minister said. But he said Egypt could not afford to rest on its laurels as the figures fell below target, largely because of what he described as poor human resources. Many tourists complained of being harassed by touts and leave the country with a bitter taste vowing never to return, he said, adding that this was causing greater harm to the industry than the spate of bombings that have rocked Sinai resorts since 2004." "Egypt has had a new plan to preserve the royal tombs in the Valley of the Kings on the western bank of the Nile River in the southern city of Luxor, the official MENA news agency reported on Saturday. According to the plan by the Supreme Council of Antiquities, touring times and duration will be limited and tour revenues will be funneled into restoration projects of the tombs." I thought that as all the decent trivia has dwindled to nothing, I would liven up the weekend by listing some websites of interest that I find during a given week, some of which may have been around for a while, but may be new and of interest to some of you. The idea was given to my by Paula Veiga (thanks Paula - much appreciated!) who has kicked things off by supplying the following list of websites. Written in French, and individual files are in PDF format: "Les comptes redus d'activite de la chaire Civilisation pharaonique: archeaologie, philologie et histoire". Reports included are 2000-2001, 2001-2002, 2002-2003, 2003-2004, 2004-2005 and 2005-2006. A short personal account of a study day by the Egypt Exploration Society: The Heavens on Earth: Astronomy and Ancient Egypt at UCL's School of Oriental and African Studies in London. Added to the excellent Griffith Institute website on 9th January 2007, this page dedicated to TT57 includes a plan, descriptive text and photographs: " Although the tomb of Khaemhet has been re-recorded in modern times, V. Loret's incomplete publication in Mémoires publiés par les membres de la Mission Archéologique Française au Caire i (1889), 113-32 pls. i-iv has not yet been superseded. The squeezes presented here almost certainly show details which can no longer be seen in the tomb. All the descriptions and the plan have been taken from B. Porter, R. L. B. Moss and E. W. Burney, Topographical Bibliography of Ancient Egyptian Hieroglyphic Texts, Reliefs, and Paintings, i Part 1 (Oxford, 1960)." The archaeological salvage campaigns of the 1960's brought to Nubia for the first time a large group of scholars with no background either in Egyptology or in the Classics; people who could theoretically approach the study of Nubian history without inherited preconceptions. From the work of these scholars, and later of their students, there has gradually arisen a recognized discipline of Nubiology, emphasizing the study of Nubia for its own sake rather than as an adjunct to the Egyptian or the Classical world'. Arkamani's main objective is to make this new concept known both to Arab and non-Arab readers. Papers are divided into the following themes: Prehistory, Pre-Kerma, Napatan Kingdom, Meriotic, Christian and Misc. I couldn't reseist this short piece: "25 years ago today, 1982 - A San Francisco policeman who suffered a stroke in 1979 after guarding the mask of King Tutankhamun on display there, is questioning in a disability-pay suit against the city whether he was the victim of a curse from the Egyptian king. The city earlier rejected the cop's claim that the stroke was job-related, but he recently won a state disability award." This is the entire bulletin. Origins of Egyptian civilization found in the Western Desert? "It was February 1999, and Carlo Bergmann had spent five days wandering through the desert with just his camels for company. His eyes were sore from the dust and from scanning the ground in front of him. Then he spotted them - two shards of pottery lying in the sand. They didn't look like much, but Bergmann knew at once what they meant. This one-time Ford motor company management trainee with no formal archaeological training had discovered an ancient trail that had eluded professional Egyptologists for almost a century. Here was a key piece in the puzzle surrounding the origins of the great civilisation of the pharaohs. Eight years on, and amazing discoveries by Bergmann and a small band of researchers in the desert west of the river Nile are forcing Egyptologists to reconsider the origins of this ancient civilisation. . . . It now seems clear that the culture, technology, religion, economy and possibly even the hieroglyphic text of the pharaohs had roots not in the valley but in the desert far to the west." The article traces some of Bergmann's previous discoveries, including the Abu Ballas trail, and describes his collaboration with the Arid Climate Adaptation and Cultral Innovation in Africa (ACACIA) team from the University of cologne. However, the main focus of the article is the controversy surrounding the interpretation of one of Bergmann's discoveries - a rock face inscribed with texts, cartouches, rock arts and geometric shapes. One inscription shows a zig-zag shape similar to the hieroglyphic symbol for water, enclosed in a rectangled topped with twin humps, which could be interpreted as the Egyptain symbol for a mountain. Another set of inscriptions Bergmann belives to be a prehistoric map. His conclusion is that the water-mountain inscription is also prehistoric - the earliest known hieroglyphic writing - and this is where the arguments begin. Members of the ACACIA team have disputed this interpetation, believing that the water-mountain inscrption dates to the fourth dynasty. One of the ACACIA team members, Stefan Kropelin, has found the same water-mountain symbol in the Sudan west of Dongola. The complete article on the New Scientist website is available only to subscribers (or via Athens) but is available in the print copy, which is out now. It is worth making the effort to get hold of it. Carlo Bergmann's website, at the above address, consists of summary reports in English and German of Bergmann's expeditions and discoveries along the Abu Ballas trail, including some simply wonderful photographs of archaeological sites, rock art, artefact scatters, geological features, bedouin settlements and some really spectacular scenery. Some of the arguments presented in his articles have not been universally accepted, and have been extensively debated. This small site has photos of the monasteries of St Anthony and St Paul, from the Eastern Desert. I took them in November 2006, and they were supposed to be up in time for Coptic Christmas, celebrated in Egypt on 7th January, but for various reasons it simply didn't happen. Better late than never! I was absolutely bowled over by how beautiful both monasteries are, although my favourite of the two, for its charm and colour, is St Paul's. Kind regards, and I hope that everyone enjoys the photos. "The marvellous capacity of Egyptian carvers for convincing illusionism was not intended to show off technical virtuosity. Rather, an accurate portrayal was necessary if a statue was to fulfil its immortalising function. To depict something, or to write it, was to give it existence. This permeable line, this shimmering interplay between reality and the human modes of describing it is one of the most fascinating aspects of ancient Egypt. So preoccupied with death were the Egyptians that we tend to think of them as morbid. But death is the source of all paradox, and it may be that the more you love life the more preoccupied you become with death. The Egyptians, I wager, loved life. Journey to the Afterlife, the exhibition of Egyptian antiquities from the Louvre at the National Gallery in Canberra, is a marvellous show. A genuine blockbuster (never before have I seen such queues at the NGA), it manages to avoid seeming ditsy or soulless in the manner of so many blockbusters. It does not try to cower us into veneration with pyramids, temples and sphinxes. Instead, it tells a story. The story is tightly focused, sometimes arcane but never less than fascinating." Life is getting back to normal, and I have updated the blog with backdated articles - sorry it has been so long, and there is probably still more to come when I have finished trawling through everything. Ancient artefacts taken to Malta by Egyptians? "Two members of the Egyptological Society of Malta are promoting the theory that the many ancient Egyptian artefacts unearthed in Malta were brought over by the Egyptians themselves, and not, as commonly thought, by traders. In an article titled Did The Ancient Egyptians Ever Reach Malta?, published in the Egyptian Egyptological journal, Anton Mifsud and Marta Farrugia analysed Egyptian artefacts found here and went through old and recently published material on which to base their conclusions." Nevine el-Aref provides more information about the Twentieth Dynasty stela found at Karnak last year: "For more than three centuries, since historians and Egyptologists began to write the first history in modern times of the 20th dynasty of Ancient Egypt, compiled from hieroglyphic texts drawn on papyri or engraved on tombs and temple walls, the history of the dynasty has remained virtually unchanged. However, this is archaeology, and in archaeology nothing can be said to be fixed. A newly-unearthed stela in the avenue lined with ram-headed sphinxes that once connected the temples of Luxor and Karnak, along which official and religious processions passed for centuries, has thrown further light on this ancient era. The new information not only illustrates the growing power of the priesthood during the New Kingdom, but also changes some concepts of the 20th dynasty, especially the facts and figures relating to its founder, the Pharaoh Setnakhte." Before the great pyramids, ancient Egyptian kings left less grandiose monuments to themselves: fortresslike sanctuaries enclosed by mud-brick walls. . . . . The crumbling, almost vanished remains of such structures, archaeologists say, attest to the political hierarchy and religion of the newly unified Egyptian state, beginning more than 5,000 years ago. As symbols of the early power of kings and their roles in the cosmic order, these mysterious funerary centers are considered ancestral in purpose to the classic pyramids of Giza. The last and largest of the cult centers — the only major one still standing in clearly recognizable form — was erected for King Khasekhemwy, who ruled in the second dynasty around 2780 B.C. Known today as Shunet el-Zebib, the roughly one hectare, or 2-acre, enclosure stands on a desert plain at Abydos, about 500 kilometers, or 300 miles, south of Cairo near the burial grounds of early Egyptian rulers. Cambridge University Press have a new title due for release in April: The Great Pyramid: Ancient Egypt Revisited, by John Romer. The book will aim to provide a comprehensive account of the design and construction of one of the world’s most remarkable structures. John Romer, a veteran archaeologist who has worked in Egypt and the Middle East for over four decades, provides information that aims to provide a new perspective on how the Great Pyramid was constructed. I haven't yet seen the book, but I look forward to hearing a lot more about it in the not too distant future. "In the late days of the 19th century and the early 20th, with the birth of the science of archaeology leading to the discovery of many treasures of the ancient world, including the 1922 revelation of King Tutankhamen's almost-intact tomb, the Anglo-American public went Egyptian-crazy, with various signs, symbols and visual images - pyramids, obelisks, mummies, sphinxes, pharaohs (especially Tut) and queens (Nefertiti in particular), chariots, winged mythological gods and goddesses, lotus blossoms, serpents, scarab beetles and hieroglyphs - found on everything from jewelry to tableware to fabric to dolls to advertising art. This Egyptian revival material is still popular among collectors today. A new book, Egyptian Revival Jewelry & Design by Dale Reeves Nicholls, with Shelly Foote and Robin Allison (Schiffer), provides a comprehensive picture and history of the phenomenon, displaying a wide selection of the objects themselves, each thoroughly described and given a current market value."